Brazilian partner dancing! 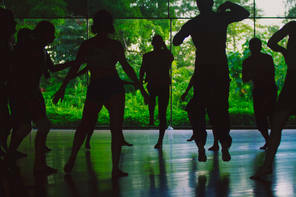 – Come and enjoy this wonderful sensual experience of connection through dance! Forró is a traditional folk dance from the north of Brazil, welcoming anyone and everyone to join in and meet each other through movement! We’ll learn all the basics and more – no need to bring a partner. Deep group work for adults, partnered dance using a blindfold and working with the Shamanic ways, sliding into a place of no time and exploring the messages of our unconscious in imagery and through physical sensation. Dance Nia, Get Fit. Have Fun with Vicky Rainbow! 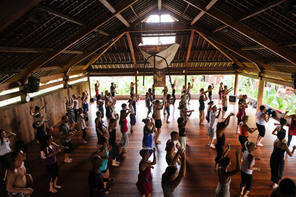 Nia is a joyful holistic movement practice that blends various dance, martial & healing arts (incl. yoga). It combines simple steps & sequences (52 moves), expressive free-dance & is danced mostly barefoot to soul-stirring music from all around the world. It has been developed over the past 35 years and is taught in over 40 countries. (www.nianow.com). Suitable for all ages and abilities. We will dance outside if the weather is nice. 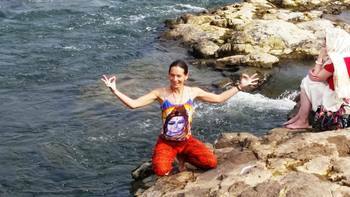 Vicky is a Certified Blue Belt Nia Instructor with over 10 years of teaching experience. Vicky is the owner of Soul Shine Wellbeing Space Abingdon where she teaches regular courses, workshops & feel-good retreats www.soulshine.org.uk. She is also a talented singer, performer and creative artist.